Welcome to the end of my 15 days of handmade gifts series, we are going to celebrate it with a big crafty giveaway! I have merchandise and gift cards, worth about $150 for one lucky winner! Here are the sponsors for this giveaway (click on their banners to peruse their wonderful shops!) AND don’t forget to enter the giveaway at the bottom of the page. It will be open until Sunday December 2nd at 9:00pm MST. I would also like to thank all of my guest bloggers who lent me their wonderful tutorials for this series! Jill from Create Craft Love, Adrianne from Happy Hour Projects, Jocie from One Project Closers:The Better Half, Lisa from Made Just For You By Lisa, Ginger from Ginger Snap Crafts, Amber from Crazy Little Projects, Barbara from Chase the Star, and Christy from The Girl Who Ate Everything. Please vote for your favorite guest post below. The fan favorite will win a copy of one of my family’s favorite Christmas books. And here are the Prizes up for grabs! Alright I am trying really hard not to curse Rafflecopter right now! The link above should work to get to the giveaway, but if you are having troubles just leave a comment on this post and let me know your favorite guest post from the “15 Days of Handmade Gifts” Series and I will consider that an entry. Make sure your e-mail address is included. Here are the guest posts again: Holiday Mulling Spices from Happy Hour Projects, Simple Glass Etching~Personalized Casserole Dish from Create Craft Love, Candy Cane Popcorn from The Girl Who Ate Everything, Good Mom Sign from Chase The Star, Ballerina Barrette Holder from One Project Closer’s:The Better Half, Kid’s Car Carrier from Crazy Little Projects, No Sew Pacifier Clip from Made Just for You by Lisa, and Christmas Countdown from Ginger Snap Crafts. Last but not least, I would like to thank the shops who participated as ad sponsors in my series. You can find beautiful handmade items for everyone on your Christmas list at any of these shops. Buy handmade for Christmas! We made it, last day of my “15 Days of Handmade Gifts” series! I have to admit I am a little bit exhausted~ but it has been fun! I really hope that you saw something that you would like to make for Christmas during this series. With all of these gifts being made, I decided that for my last post I would show you a pretty way to present all of your handmade gifts. Today my tutorial is on woven ribbon boxes, which are kind of a gift in themselves because they are beautiful. I am sure the recipient will keep (and re-use them) too! Today’s ad sponsor is kind of a biggie. If you are a crafty kind of person you know them (and love them! ): Ribbon Retreat! And if you haven’t heard of the Ribbon Retreat, all the more reason to go have a look around their website. They are also participating in our giveaway tomorrow. Quality Products. Quality Prices. Quality Service. I have a few ideas that I want to share with you on how to make some pretty woven ribbon Christmas boxes. They are quite easy to make, the worst part is probably the burns from the glue gun, but hey, that’s just the risk that we crafty people take! The first thing I did with my boxes was to take the bottom or base of the box and wrap it in some pretty (but not too busy!) Christmas wrapping paper. I used a glue gun instead of tape to secure the paper, I did not want any tape to show. You could also use a double sided tape. For my first box I used 4 different ribbons. To make this one, you are first going to cut several pieces of ribbon. The ribbon will go along the long side of your box and you will choose TWO different prints of ribbon (mine were pink and silver). The length of the ribbon will be the WIDTH of your box lid plus a little extra to curl around the inside of the box lid~ you are going to glue it just inside the box lid (on both sides)so it needs to be long enough. Now flip the box lid over, we are going to do some weaving! Start with the second set of ribbons that you glued to the box. Take the top ribbon (in my picture it is the gingerbread ribbon), and bend it upwards. Bend down the first ribbon from the first set of ribbons that you glued on (in my photo this is the pink ribbon) and put the gingerbread ribbon over it. Then put it under the second (silver ribbon), over the third, and so on. When you reach the end you are going to pull that ribbon tight and secure it under the box lid with glue. Take the next piece of ribbon in line (in my picture this is the green one). Put this one UNDER the first ribbon (in the picture this is the pink one) and OVER the second (silver) ribbon. Continue on to the end and again pull the ribbon tight and secure it under the top of the lid with your glue. Repeat this step with all of the ribbon down that side. When you have secured all of that ribbon in place, pull on the bottoms of your unsecured ribbon (in my photo this would be the silver and pink ribbon) Make sure the ribbon is nice and tight, and flat, and then secure each end under the box lid with your glue gun. Your box should be done and super pretty! I used four different ribbons for this one because it was easier to explain how to weave it, but if you find this box too “busy”, you might like the next one better. The only difference with this box is that I only used THREE different ribbons instead of four. On the one side of the box lid, used only a solid red grosgrain ribbon, so there were no alternating ribbons. On the second side of the box top, I still used two different alternating ribbons (The Merry Christmas and the Peppermint ribbon). Use the same method that I described above to weave and glue your ribbons. I think I liked this one the best! The last box that I wanted to show you is the slider box. This one was a little bit trickier. Again I used three different ribbons. I cut two different ribbons to go around the box (the Santa Belt and the silver ribbon) They had to be long enough that their ends would meet on one side. Next I cut the pink ribbon to go lengthwise on the box, plus a little to curl the ends around to the inside. Take your two ribbons that will go around the box. Glue only one end to the MIDDLE of one side of the slider box. Alternate your two ribbons, gluing the ends, until you get to the bottom. Now take your other ribbon that will go down the length of your box. Glue one end just inside of the edge of the box, make sure it is at the start of the ribbon that you have just glued down(this is my pink ribbon). Weave it through your other two ribbons. I should mention that in this picture, the pink ribbon is not in the starting position, rather it should be just underneath that red santa’s belt ribbon, and then over the silver one, etc… When you get to the end, pull the ribbon tight and secure it on the inside of the box. Continue on with your lengthwise ribbon (eg the pink one). The second one will be placed beside the first one. Again glue the end just inside of the box, but this time put it underneath the first ribbon (the red santa’s belt in my picture) and then over the next one, etc. Continue in this fashion all around the box, until you get back to the first side where you glued your ribbons down the middle of the box. When you get to that side, pull the ends of the two different ribbons that go around your box (so the Santa’s belt and the silver ribbon) Glue the ends down on top of the ends that you glued on the beginning. Make sure the ribbon is just long enough to meet the first end. If not, just take your scissors and trim the ribbon. The last thing I did was to cut a piece of the silver ribbon to the length of the box, plus a little to go around the end, and glue it over top of the ribbon edges that meet in the middle. 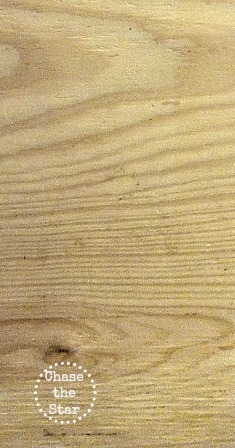 This will be the bottom of your box, but it makes it look a little more neat and finished. And your pretty ribbon boxes are finished! Well, this wraps up my “15 Days of Handmade Gifts” tutorials BUT don’t forget to come back tomorrow to enter the giveaway. The giveaway will be open until Sunday December 2nd at 9:00pm MST, but I am leaving all of the prize details a secret until tomorrow! Thank you for stopping by! Thanks Lisa for letting me crash your place today! During the Christmas season I’m always looking for friend and neighbor gifts that are tasty, pretty, and easy. This Candy Cane Popcorn is all three. 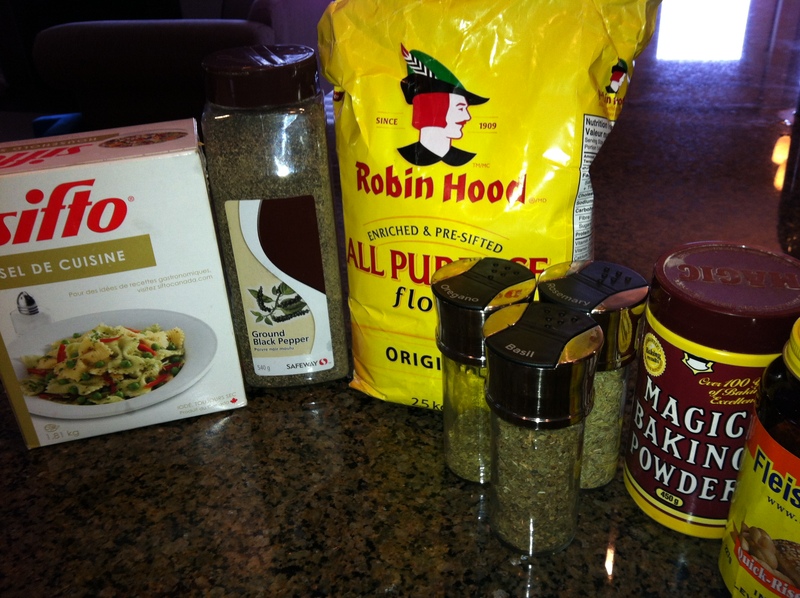 I know it sounds simple but these three ingredients come together to create magic. 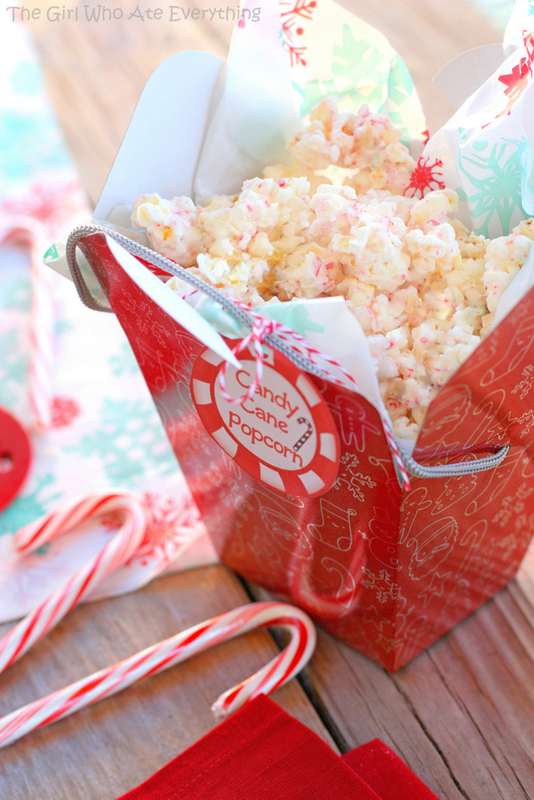 This creamy popcorn tastes like Christmas! I was surprised how much I enjoyed it because it was so easy to throw together and when you’re making mass amounts of edible gifts, that’s important. I tested it out on my neighbor’s taste buds too. Yes, I’m that crazy woman giving my neighbors Christmas treats in November. They all gave me the thumbs up. If you want to make these cute tags, just print this document I made here on some white cardstock. 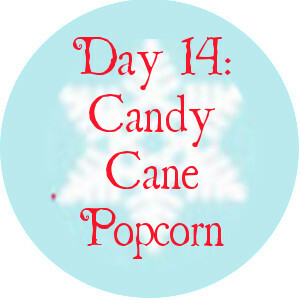 Here are the Candy Cane Popcorn Tags. Crushed candy canes are stirred into the almond bark to help it stick to the popcorn with additional candy canes sprinkled on top. Package it up with some festive tissue paper in little takeout boxes. You will love this! 1. Place popcorn in a very large bowl. 3. 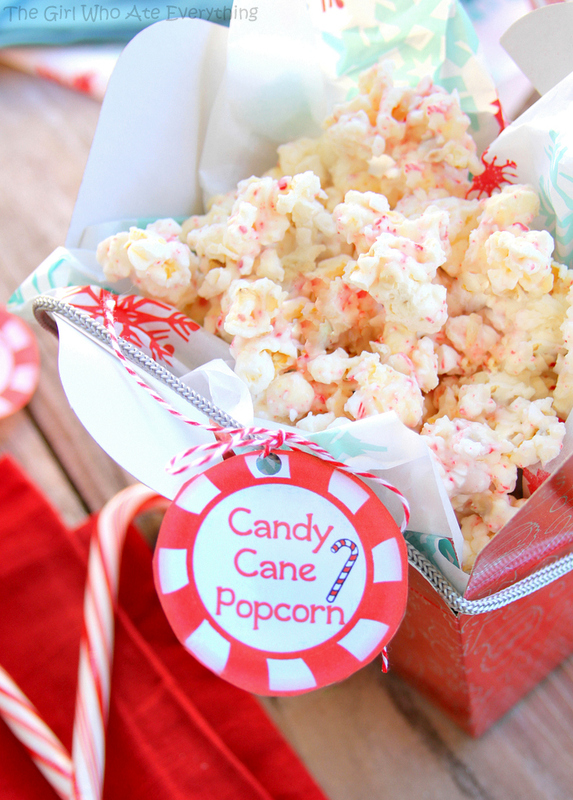 Stir 1/2 cup of the crushed candy canes into the melted bark and pour over the popcorn. 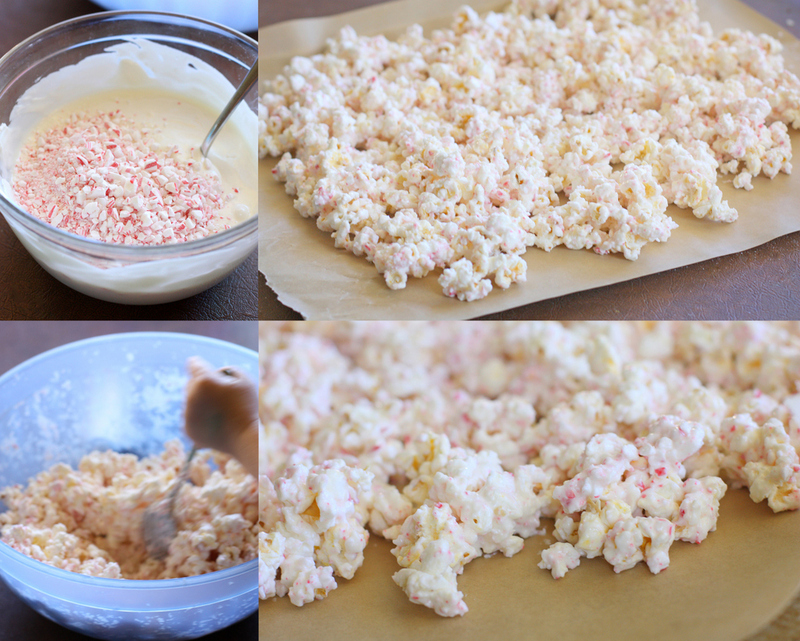 Stir thoroughly coating popcorn while sprinkling with remaining crushed candy canes. 4. Lay popcorn on a parchment lined cookie sheet to cool. 5. Break into pieces and package up for gifts. Thanks for stopping by today, I hope you enjoyed this sweet treat idea! Join us tomorrow for the last day of this series, and then on November 30th for the big crafting giveaway! Hello! 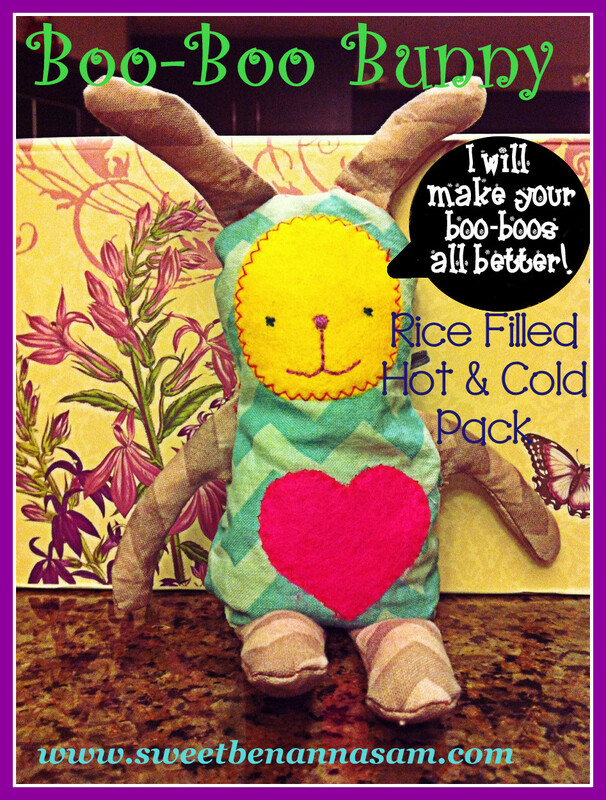 Today I would like to introduce you to Boo-Boo Bunny (with a free pattern!). He is a rice-filled hot/cold pack. If your children are anything like mine they hurt themselves, a lot! Especially my two year old, Sam. He lives life hard and he has had more goose-eggs than I can count. It seems, though, that whenever I come at them with a cold pack or some frozen peas, the crying gets worse; they don’t like it! This is why I created Boo-Boo bunny. He is friendly and cute, the children don’t mind putting him on their wounds! There are plenty of other uses for him too. Heat him in the microwave (25-30 seconds in my microwave is perfect) Stick him in winter boots in the morning to get them toasty warm, or even in their gloves! He is the perfect size to fit in the crook of your back. 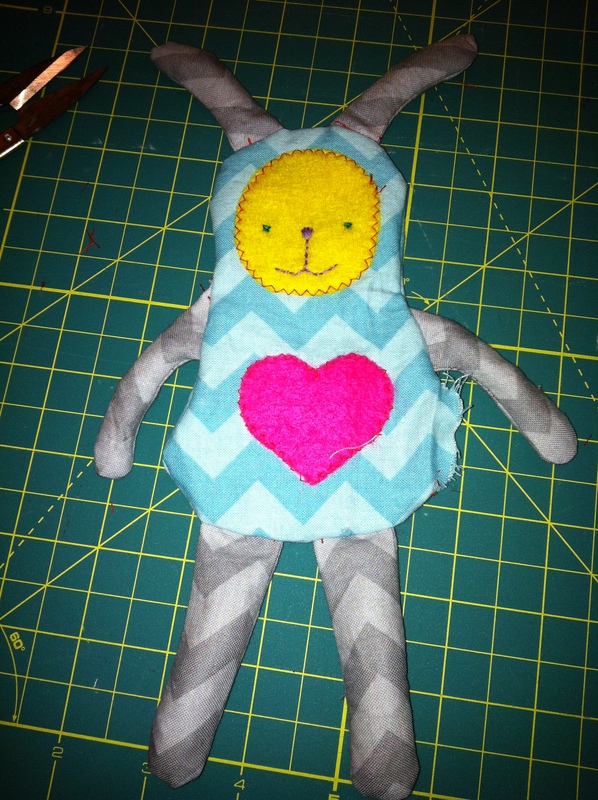 If you make a bigger one, the design of this bunny is ideal to drape around your neck. 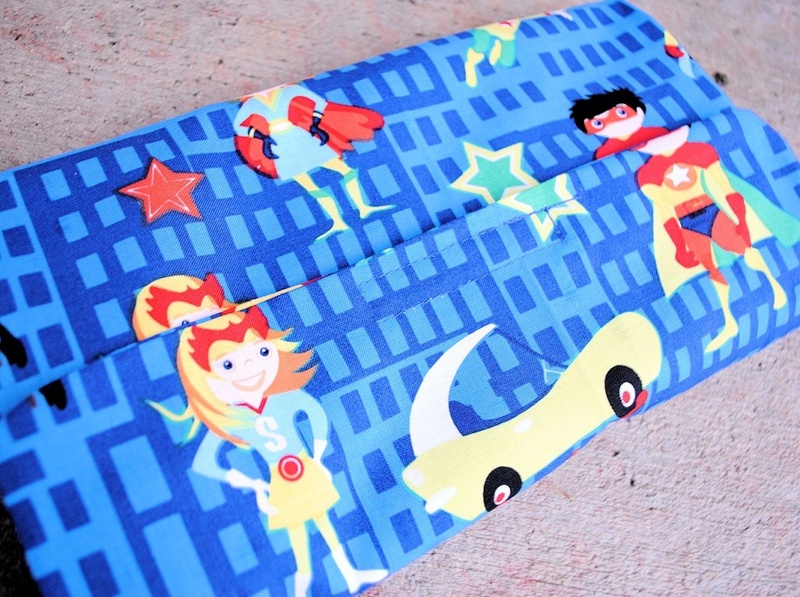 Make a bunch of them, heat them up and stick them in your blankets at the foot of your bed, great feet warmers! (in case you can’t tell, I live somewhere really cold!) Or for my 13 month old who refuses to wear gloves, I heat up bunny, and let her play with him in the car. Plus they just love to play with him as a toy. He is the right size to fit inside a Christmas stocking, and would make a wonderful gift for a child, or for an adult with aches and pains, or bad circulation. 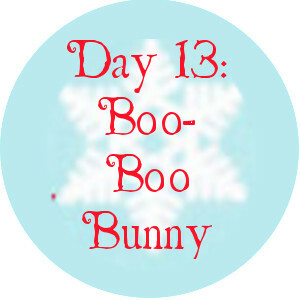 So without further ado, I bring you Boo-Boo Bunny. First you will cut all of your pieces. 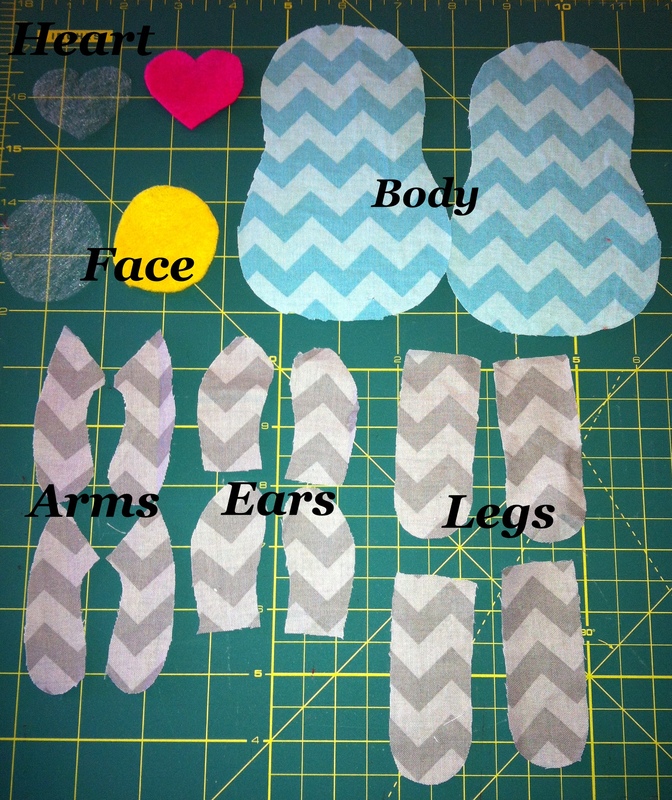 From your fabric you will need four arm pieces (2 opposites) 4 leg pieces (2 opposites) 4 ears (2 opposites), 2 body pieces. You can use all of the same fabric, I chose to use two coordinating fabrics and have the appendages different from the body. 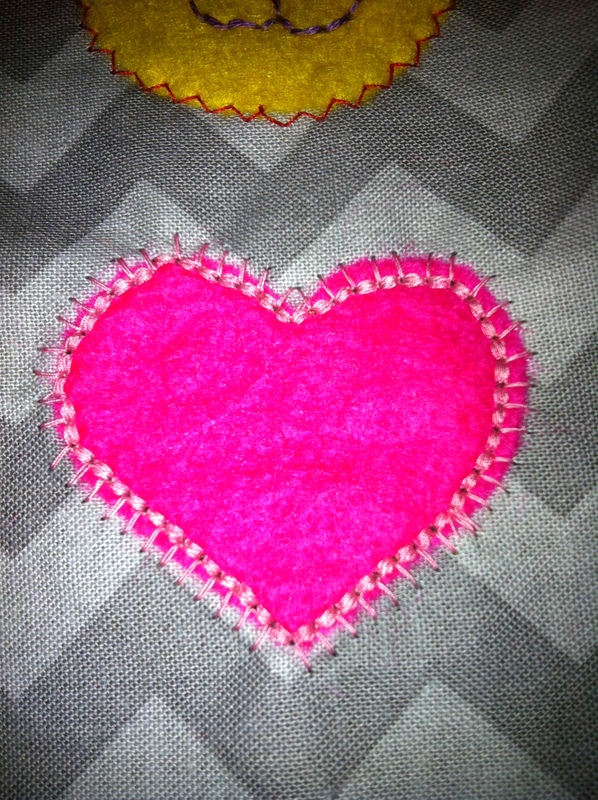 You will also need one face cut from felt, and the same size piece from your double sided fusible interfacing, and one felt heart, and also a heart from the double sided fusible interfacing. Next you are going to take the piece of felt that you cut for your face, and some embroidery floss. Embroider whatever kind of face you would like. 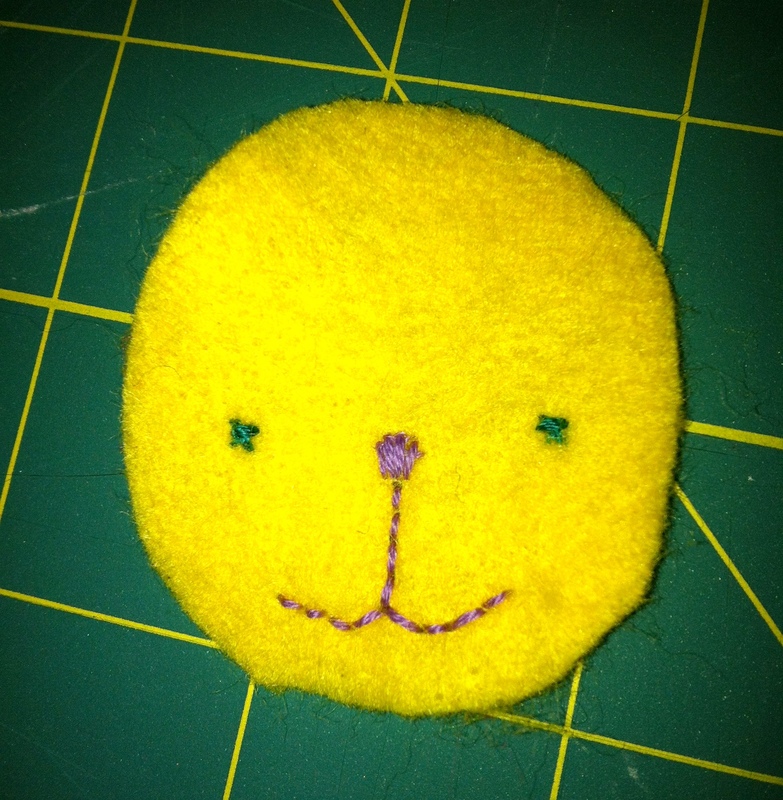 I used two strands of floss and did a back stitch for the nose and mouth part. Then I used 3 strands and did a cross stitch for the eyes. We are now going to get all of the limbs sewn up! Take two of your leg pieces. Place them right sides together, sew all around the leg but leave the bottom, short straight edge open. Repeat this step for all of the appendages (legs, arms, ears) then turn right side out and iron. You are going to fill each one with rice, to about 1/2″ from the top. Once you have done this, sew the top edge shut. There should still be a little bit of space below your stitching with no rice in it~ if not you have filled it too full. Do this step for all of the limbs. Now we need to attach the limbs and sew the body together. I am going to explain the steps and show you a series of pictures to make it easier. 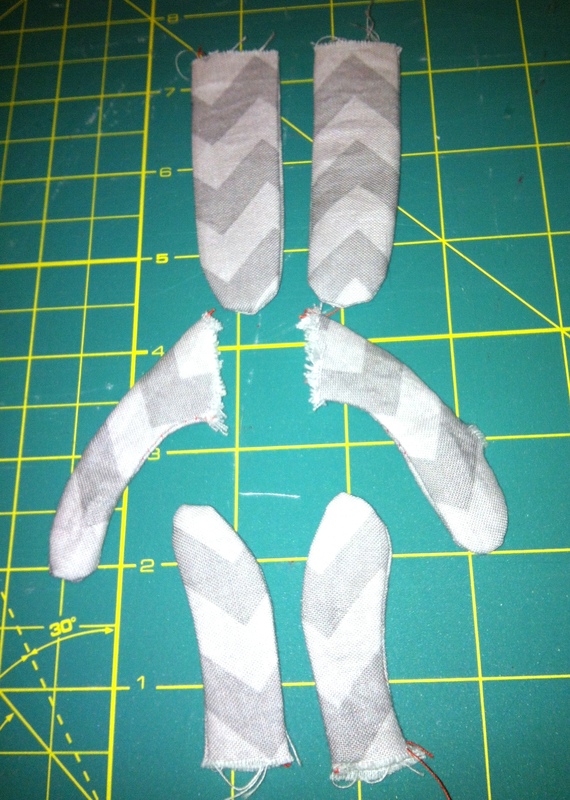 The little x marks that I have put on the body pattern show you where to attach your limbs. A good idea is to lay your front body piece (the one with the face and heart) on top of that pattern. 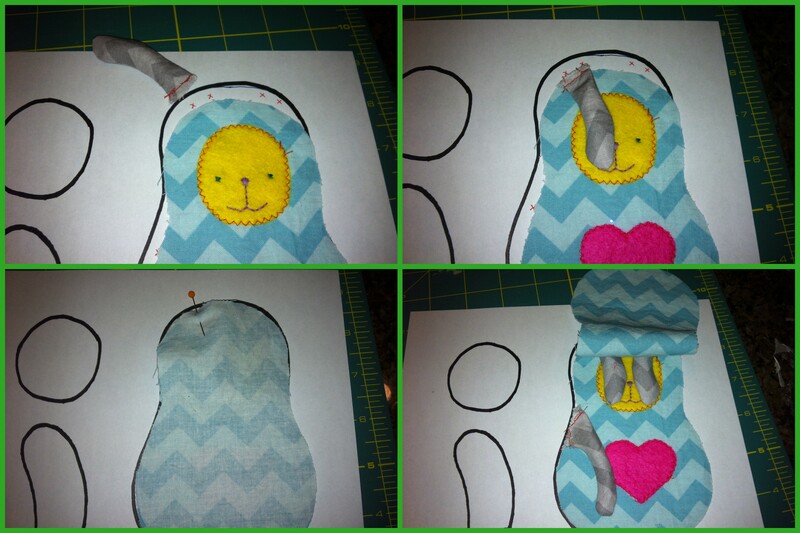 Put one of your limbs (let’s say an ear) where you want it to go, and then flip it down so that the raw side is at the top of the bunny’s head. It should stick out just slightly. Now place the other body piece, right side facing down, and sandwich the ear inside. Put a pin through all three layers. Now flip that body piece up and place your next limb where it should go. Use the same method and go all around the body, securing the limbs into place. You should now have your body pieces pinned, right sides together, with all of the limbs enclosed inside. 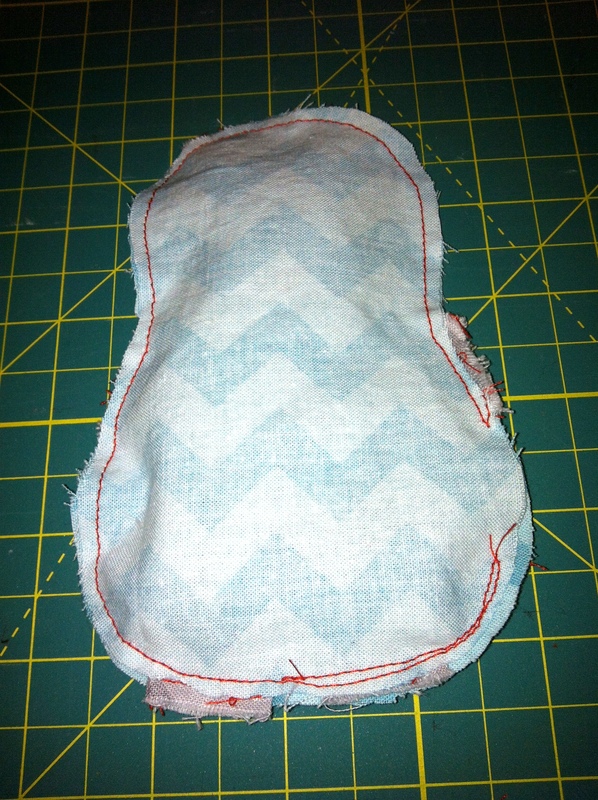 Sew all around the body, leave a space about 2″ open so that you can turn it right side out. I found that the best spot to leave open is between one of the arms and leg. Remember to backstitch at the beginning and end so that your stitches don’t come undone when you are turning it right side out. You should now have something that looks like this. Turn your bunny right side out. Fill his body with rice, I think I used about 1- 1 1/2 cups of rice to fill him up. 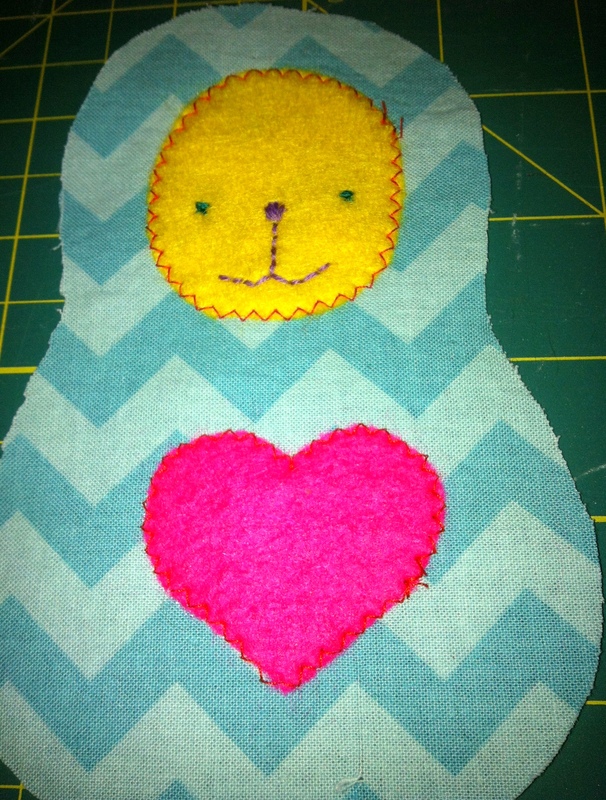 Use a ladder stitch to close up the hole ~ and he is all done! Play around with your microwave times to see how long it takes to heat him up ~ you don’t want to overheat it. I suggest starting with 20 seconds. When I was doing this my husband said to me, “Be careful, you don’t know if the fabric is strong enough to survive the microwave.” My response, “Honey, this is Riley Blake quilting cotton, I assure you there will not be a problem.” And he says (as if he knows) “Oh yeah, the Riley fabric.” PSSHH like he has any idea what I’m talking about! Husbands are so cute. I hope you have enjoyed this handmade gift idea, we are nearing the end but tomorrow I have a guest blogger that I am very excited about. I have pinned so many of her amazing recipes ~ Christy from “The Girl Who Ate Everything” So don’t forget to visit tomorrow to see what she has cooked up for us! 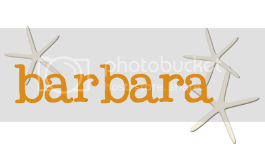 Today I have another wonderful guest blogger ~ Barbara from Chase the Star. She brings us a beautiful DIY wood sign. 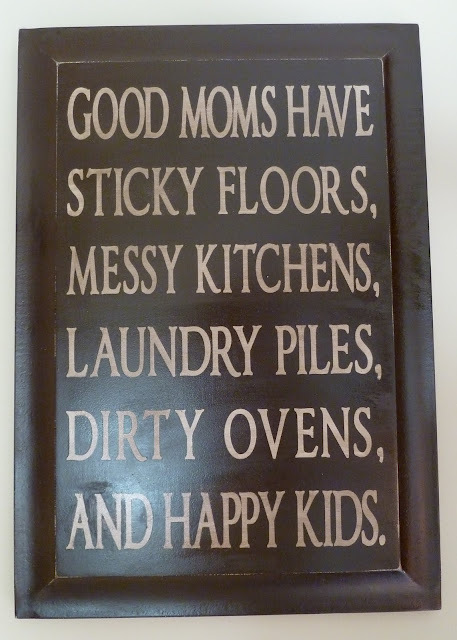 This would be a great gift for any mom, I know I would like to have one! Our Ad sponsor today is Wholesale Flowers Ribbons & Buttons, they have lots of great stuff for your crafting needs, and they will be participating in our giveaway on November 30th! Hello Sweet Benanna & Sam readers! 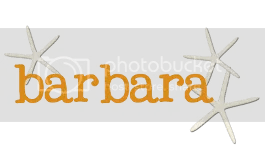 My name is Barbara and I blog over at Chase the Star! I’m thrilled to be a guest here today, so grateful to Lisa for the invite! Chase the Star is all about crafting, furniture restoration, recipes, and more. I try my best to share inexpensive and easy to make projects and DIY updates! Today, I’m sharing one of my DIY signs with you..
A couple of weeks after moving in to my house, while clearing the garage out I came across this 28×11 piece of plywood. This was a ‘goodie’ because as a crafter I could always use scrap wood, it saved me a couple bucks, and a trip to the HD. Win, win, WIN! 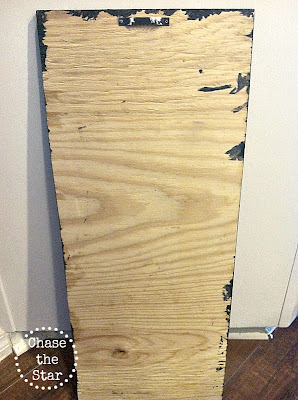 I got started painting the plywood with black chalkboard paint. 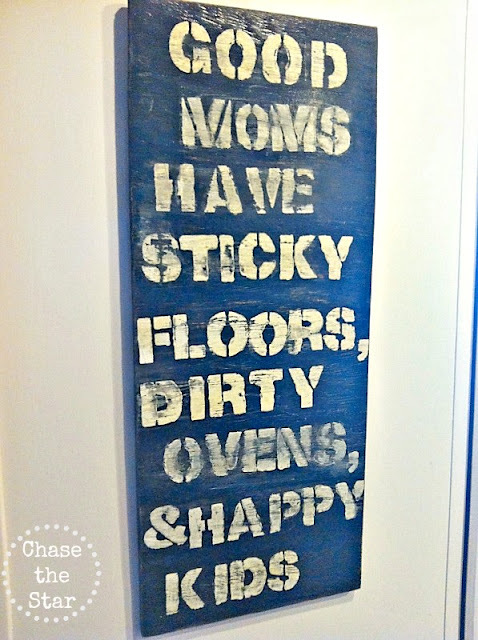 Yes, chalkboard paint because it dries fast, and usually doesn’t require primer. And I have no patience. The only stencils I had in my stash were 2″ thick block letters, so I had to scale back the wording a bit. I got rid of the ‘laundry piles’ piece because honestly I didn’t want anything around to remind me I need to catch up on laundry! O.k., also it wasn’t kitchen related and that’s where this sign was to live. Of course this was my pre-blog days so I didn’t take pictures of the process. Go ahead and yell at me! 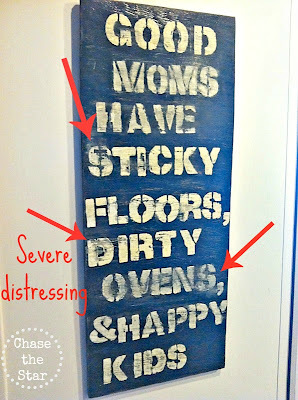 Once the paint was dry I created the wording with the stencils and taped them on to the board with painter’s tape. Using a foam brush, I dabbed white paint on the stencils. I had to go back and add a couple more coats of the white since I was going over black. Once it was all completely dry (overnight), I went crazy with the sandpaper from top to bottom. I really wanted it to look like a piece that’s had a really hard life. I added a saw tooth hanger on the back, by simply nailing it into place with the teeny nails they come with. Messy isn’t it? The backs of most of my projects look like that or worse. Who cares? It’s against the wall (wink)! To give it an aged look and to seal it, I added a coat of wood stain with a sealer built in. 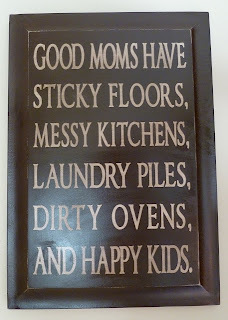 People always have a chuckle when they read this in my kitchen! Have you put your own twist on something you’ve seen in the blogosphere? Thanks again to Lisa for having me here today! I’d love to see you guys over at my place! 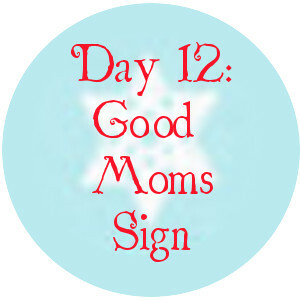 Already on day 11! I hope you are enjoying this series! 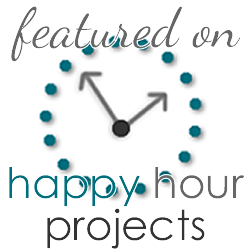 Today I have a GREAT guest blogger ~ Amber from Crazy Little Projects. You should have a look at her blog, she has some wonderful boy ideas (I just love her Lego Ninjago pillowcase tutorials! 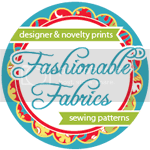 )as well as many other great sewing/crafting projects. 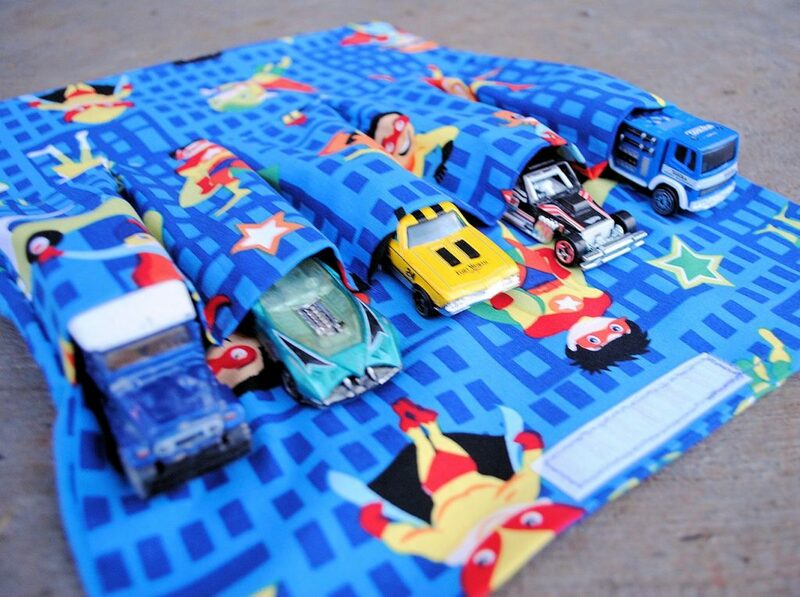 Our ad sponsor today is New Mom Designs ~ they have some ADORABLE fabric in their shop that would be perfect to make this car carrier, or an infinite number of projects! They will also be participating in our giveaway on November 30th. Hi there! 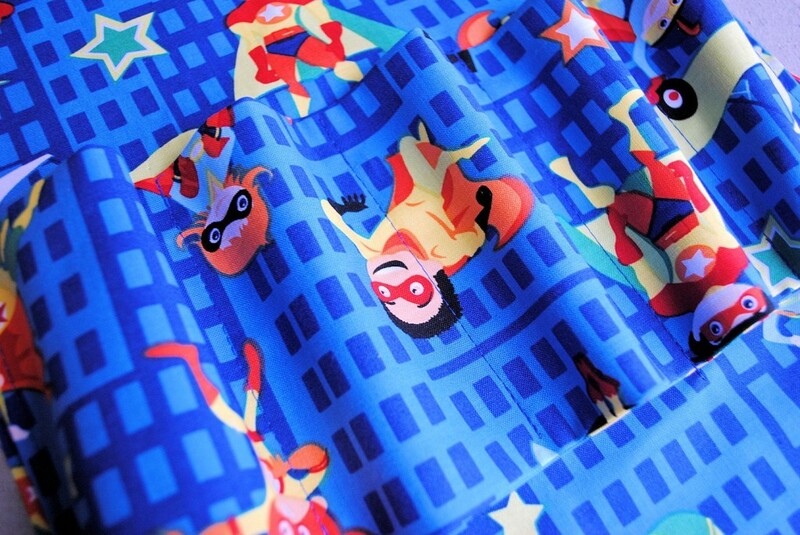 Welcome to my Designer Fabric Shop full of original, cotton fabrics! 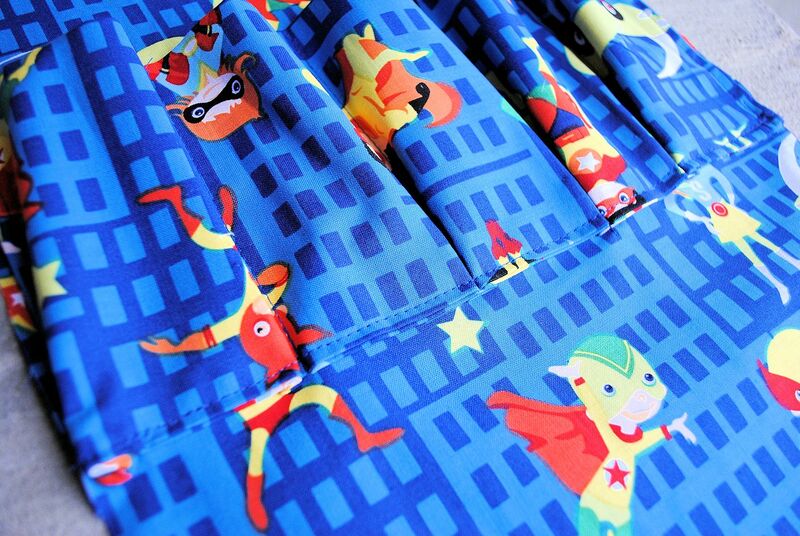 I design unique, one-of-a-kind FABRICS that are FUN, CUTE , MODERN and FRESH! 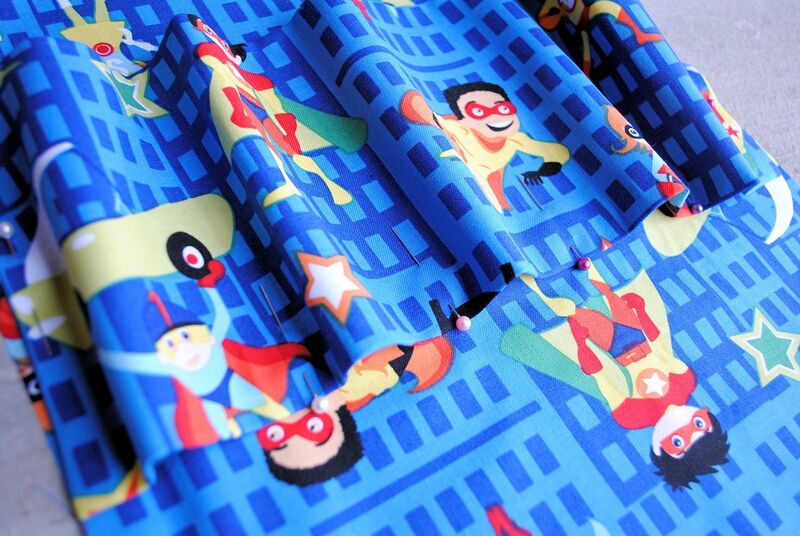 Suitable for children, babies or anyone who has a sense of HUMOR, loves COLOR and load of CUTENESS 🙂 My fabrics are created in eco-friendly manner, right here in USA! 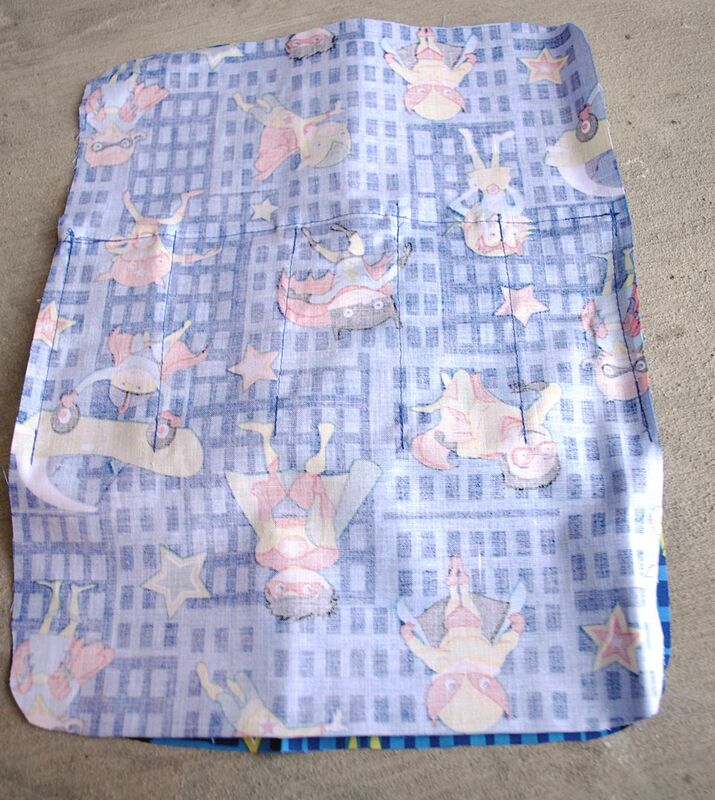 100% cotton, or other natural fiber fabric per request. 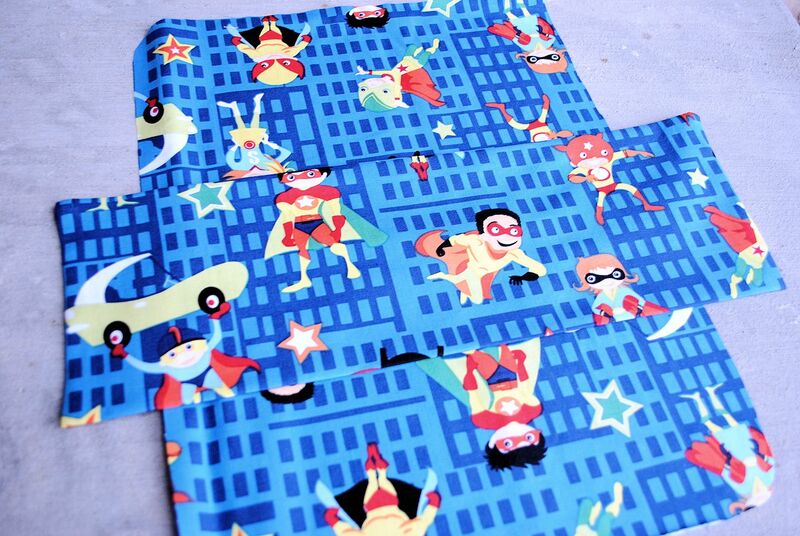 I do CUSTOM pattern size, color, fabrics, even ORGANIC! Hello hello! 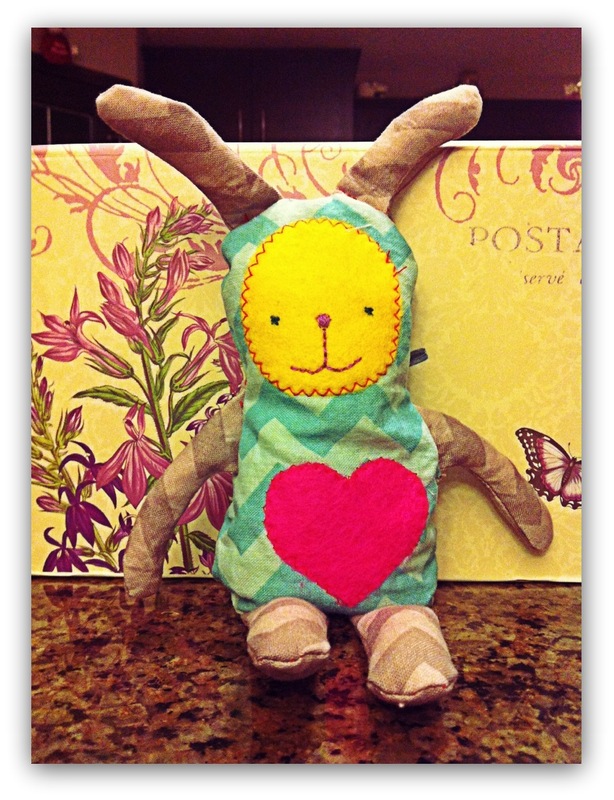 This is Amber from Crazy Little Projects guest posting here for the handmade gift series. Please come visit me. 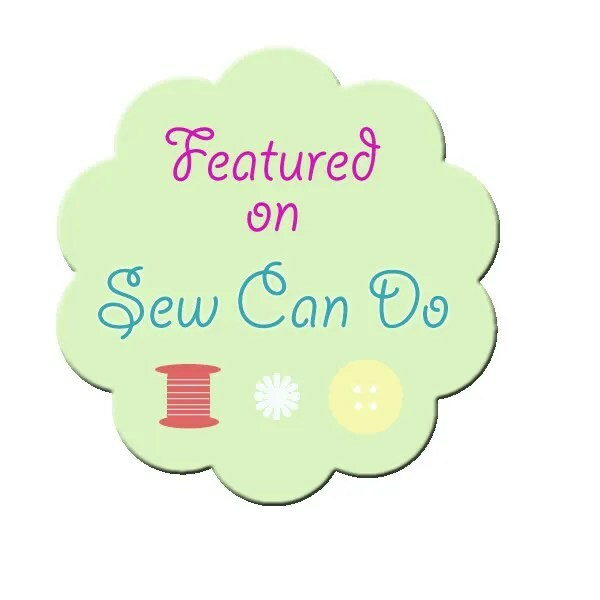 I am currently getting ready for a Learn to Sew Series-so if you have ever wanted to learn to sew, this is your chance! This is a cute and simple gift idea for the holidays. 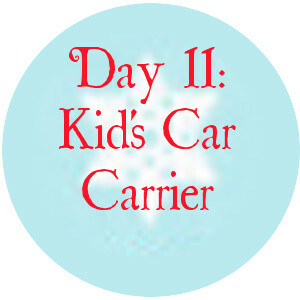 It’s a kid’s car carrier. 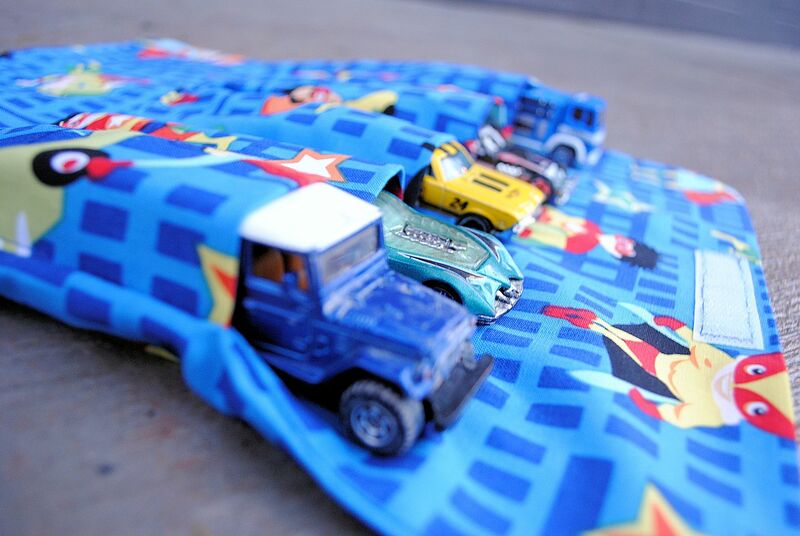 It holds 5 Hot Wheels or Matchbox cars and folds up easy so that it can be brought along when out and about. Here’s how to make it for your little car carrying kiddos. First of all you are going to cut out 2 pieces of fabric that are 11 inches across and 14 inches long. I round out the corners a little. Grab 1 of your 11 x 14 inch pieces and lay your rectangular piece in the center of it (like shown above). 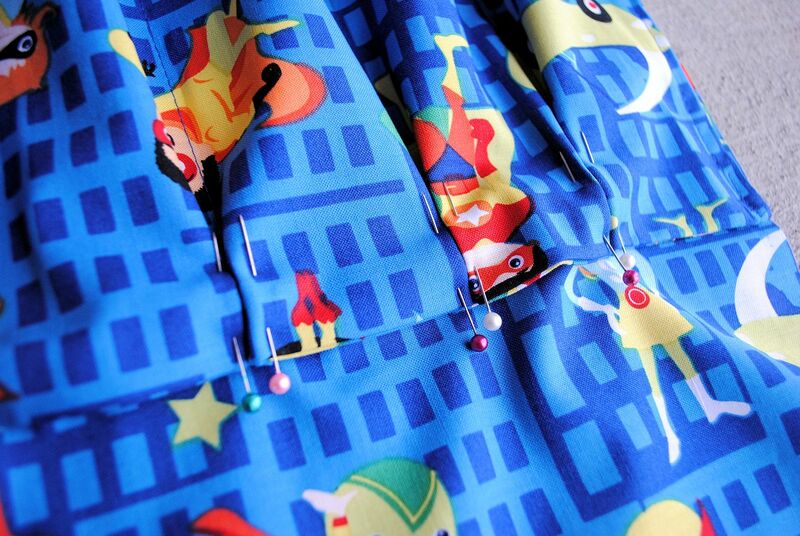 Next, you need to form little pleats at the bottom of these little pockets you just made. 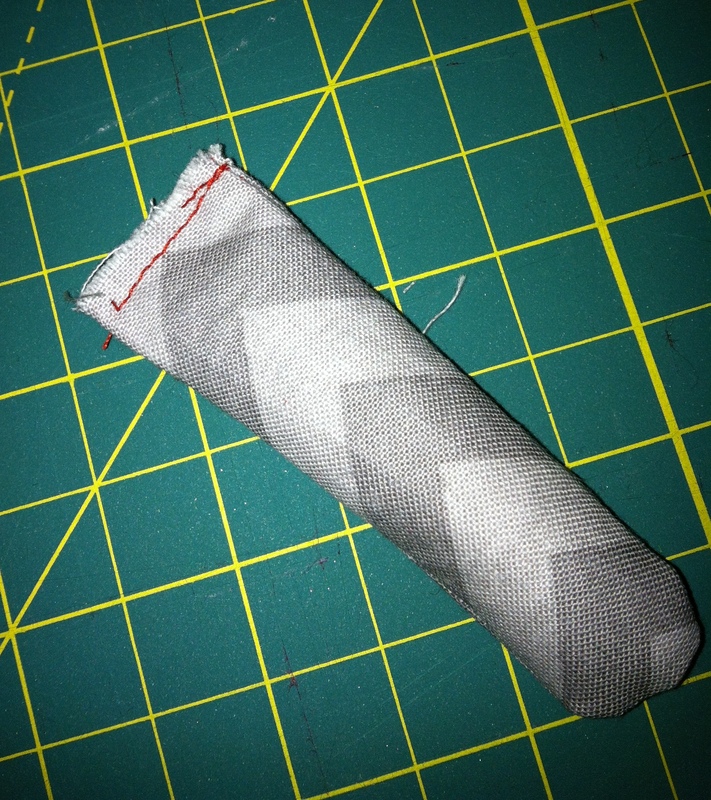 You are going to fold the bottom edges out so that they meet the next pocket over and lay smoothly along the bottom. Now, grab your other piece of 11 x 14 fabric and put right sides together and stitch all the way around leaving just a small opening (about 2-3 inches) at the top to turn it right side out. 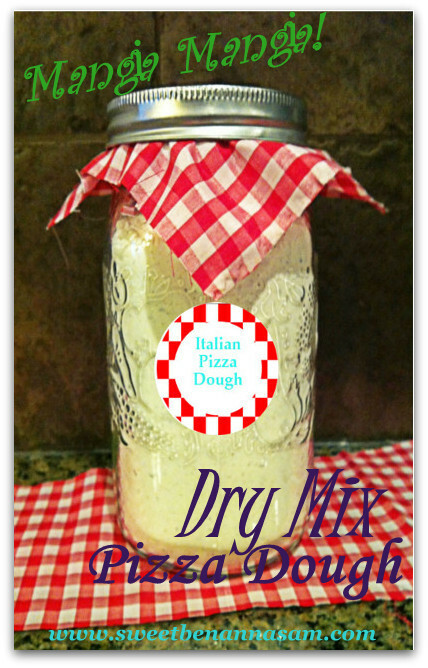 Today I would like to share a dry mix recipe for pizza dough (and a free gift tag printable!). This is a great gift for a busy family who doesn’t have a lot of time to spend on making dinner! Alright, now on to this nice little gift idea! 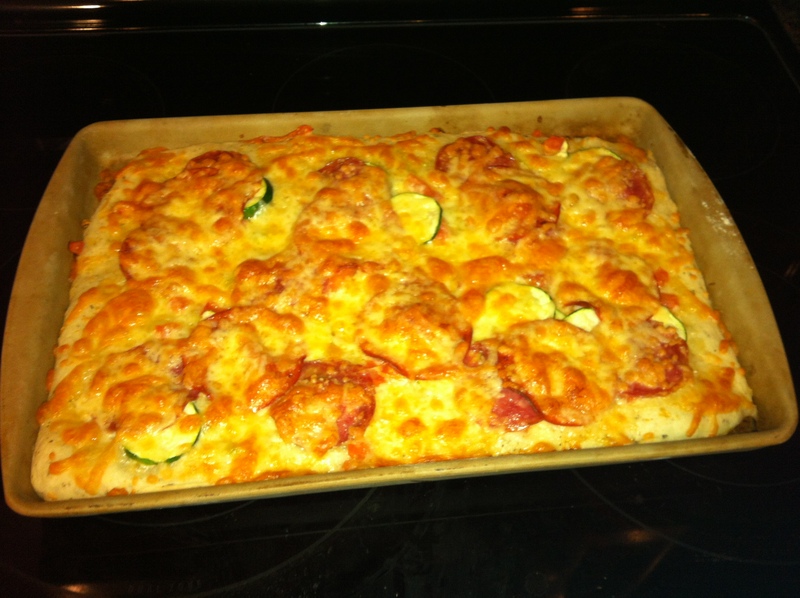 Home made pizza is a family favorite in our house! A little more than a year ago, I went to one of those Pampered Chef parties. If you have never been to one, you usually make a recipe so that you can test the products first hand. At this particular party, we made a pizza ~ and it tasted so good! 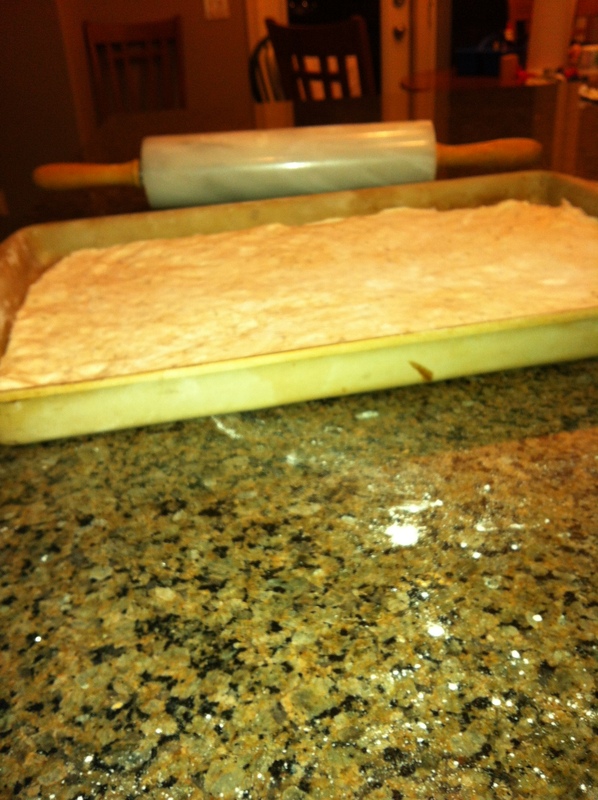 Over the past year I have adapted the pizza crust recipe to our taste. I have added some herbs and spices, and a bit more flour, which I found gave the dough a better consistency (and a great taste!). Now I am making it into a Christmas gift to share with some friends! What I have done is doubled the recipe and presented it in a mason jar. It will yield two large pizzas ~ I make mine in a Pampered Chef large bar pan, you could also use a non-stick baking sheet, or if you have a proper pizza pan you could use that too. You can make the dough the night before, wrap it in saran wrap and refrigerate, or you can make it before dinner (I have found that this dough doesn’t really need time to rise). Throw all of your favorite fixings on it and you have a meal that the whole family loves! Mix all of your dry ingredients together and pour them into your mason jar. 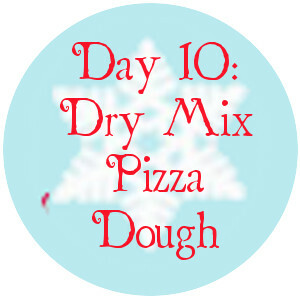 Now print off this free gift tag: Pizza Mix Labels and decorate your gift! ~ Mix 1 3/4 cups dry mix with 1 1/2 tbsp oil and 2/3 cups warm water. 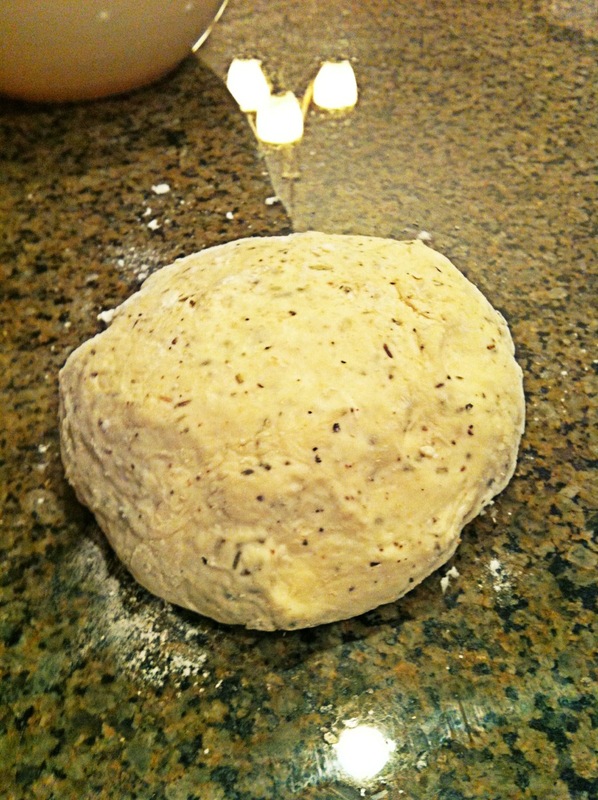 Mix, and then knead by hand until dough forms a ball ~ it should not be overly sticky. Roll the mix into a pan (non-stick cookie sheet or pizza pan) and cover with your favorite toppings. Bake in oven at 375 f for 30 mins ~ or until cheese is bubbly and crust turns lightly golden, and enjoy! Here is my favorite veggie pizza: Mix two cloves of minced garlic with 3 tbsp of olive oil. Brush it over your crust. Use Kraft Italian blend shredded cheese and spread 1/2 cup over pizza. Slice zucchini, red onion, roma tomato, and mushroom ~ place liberally over pizza. Cover the pizza with another 1 1/2 cups of cheese, and bake! And there you have it! A great gift for a busy family, it also promotes quality family time ~ get a variety of your children’s favorite toppings and let them create their own meal! Categories Crafty DIY, Good Food!